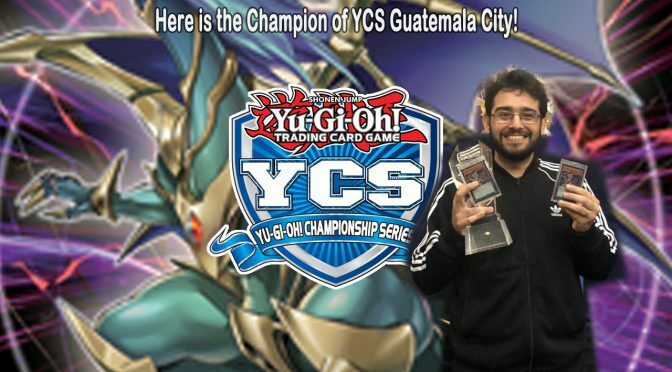 YCS Guatemala City brought out a total of 286 Duelists ready to Duel their hardest to make it to the top. Last weekend had representatives from 15 countries, including Argentina, Brazil, Canada, Chile, Colombia, Costa Rica, Ecuador, El Salvador, Honduras, Mexico, Nicaragua, Panama, Peru, United States, Venezuela and of course, Guatemala. Paid travel and accommodations to the winner’s 2019 World Championship Qualifier as well as VIP Status at the winner’s 2019 World Championship Qualifier. A brand new PlayStation®4 PRO 1TB system. An invite to the 2019 World Championship Qualifier tournament! A Yu-Gi-Oh! Championship Series Top Cut Game Mat and 30 Ultimate Duelist Series Points. We will have all the public event winners as they are made public, so be sure to check back. Previous PostKonami Strategically Renames New York Office to Reflect New 360-Degree IP Rights Management ApproachNext PostUPDATE: NEW from Yu-Gi-Oh! TCG in April!